Mike Watson Defeats Tony Gregg To Win 2016 PCA Main Event for $728,325! 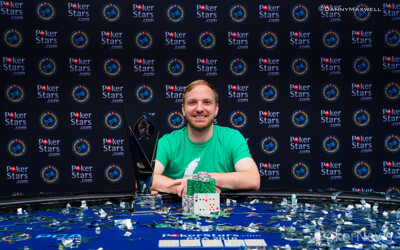 Mike Watson has done it, winning the 2016 PokerStars Caribbean Adventure $5,300 Main Event after he topped a field of 928 entries, including an extremely tough heads-up match against three-time final tablist Tony Gregg. After he and Gregg worked out a deal, Watson took home $695,325. Gregg locked up $612,175, and the two left $33,000 to play for. Watson won that additional prize to take home a total of $728,325. For Gregg, his finish was bittersweet. Yes, he took home $612,175, but once again he finished as the bridesmaid in the event. It was his third trip to the PCA Main Event final table, and, even though he did not win, proves just how successful he is in this tournament. 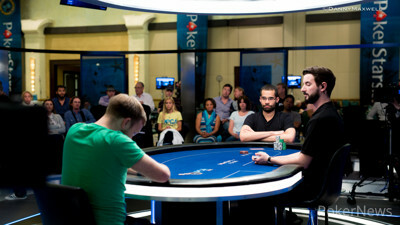 Also at the final table on Thursday were Randy Kritzer, Vladimir Troyanovskiy, Toby Lewis, and Phillip McAllister. Kritzer, the neurosurgeon from North Carolina, was the only amateur player at the final table, and he finished in sixth place for $153,920, and then it was the well known Russian Vladimir Troyanovskiy falling in fifth place for $207,940. 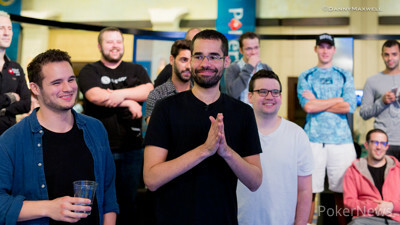 In fourth place, Toby Lewis was eliminated, falling just a few spots short of landing his second European Poker Tour title to earn $267,340. In third, it was the blossoming upstart Phillip McAllister who took home $356,020. Heads-up play began with Watson in the lead. He and Gregg took a dinner break, and upon their return, they agreed to the deal. Despite just about a 2-1 lead going into the heads-up duel, Gregg pulled back to even with Watson in a match that would last over two hours. In the end, though, Watson proved too strong for Gregg to overcome, and the final hand of Level 34 saw Gregg take a big hit before the two got all the money in shortly after Level 35 began. The final hand took place on the flop, where Watson called Gregg's shove with the for a draw. Gregg had top pair, top kicker with the , but he didn't have a heart. The turn was the to give Watson some additional outs, and then the river delivered the final blow with the . Watson had made a flush, and that was all she wrote. For Watson, the win pushed him over $9 million in live tournament earnings and he added another trophy to his case. With that, the 2016 PokerStars Caribbean Adventure, which took place over the past nine days and saw 104 events play out, has come to a close. Congratulations to all of the winners. PokerNews looks forward to seeing everyone at the next stop on tour, but for now, you can find us at the bar! Hand #212: MIke Watson had the button, raised, and took down the blinds and antes. Hand #213: Tony Gregg limped on the button with the , and Watson raised to 900,000 with the . Gregg folded, and Watson won the pot. Hand #214: Watson limped in with the , and Gregg checked from the big blind with the . The flop was , and Gregg checked. Watson bet 300,000, and Gregg folded. Hand #215: Gregg limped on the button with the , and Watson checked his option from the big blind with the . The flop fell , and Watson checked. Gregg bet 400,000, and Watson raised to 1.2 million. Gregg scratched his beard, checked his hole cards, and then moved all in for 4.1 million. Watson tanked, then called, and it was Gregg's tournament life on the line as a slight favorite. "I can't really picture you holding seven-four off for the winner photo," Gregg said with a laugh when he saw Watson's hand. The turn was the to give Watson some additional outs to win the hand, and the river delivered with the . 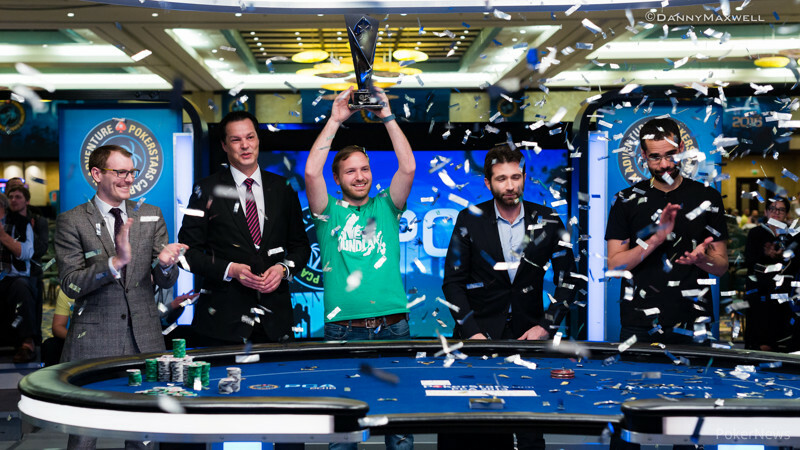 Watson smashed his heart flush to win the event and earn the $728,325 first-place prize. For his runner-up finish — the second in this event for Gregg at his third final table — Gregg earned $612,175. The PCA Main Event is on a 15-minute break. Hand #211: Tony Gregg opened to 500,000 with and Mike Watson reraised to 1,350,000 with . Gregg slid out a stack of chips and made it 2,875,000 to call. Watson seemed unphased, possibly a little curious. He reached back to his stack and called. The flop came and Watson checked top pair to Gregg. Gregg didn't move for a moment, then he bet 1,650,000. Watson then check-raised all in and Gregg folded pretty quickly. Hand #205: On the button, Tony Gregg raised to 500,000 with the . Mike Watson picked up the in the big blind and reraised to 1 million. Gregg folded. Hand #206: Watson raised to 500,000 on the button with the , and Gregg called with the . The flop was , and Gregg checked. Watson bet 500,000, and Gregg folded. Hand #207: Gregg raised to 500,000 with the on the button, and Watson called with a dominating to see the flop. Both players checked. The turn was the , and both players checked again, this time to see the land on the river. Both checked, and it was time for a chopped pot. Hand #208: Watson raised on the button to 500,000 with the . Gregg called with the , and the flop fell . Both checked, and the turn was the . Gregg bet 600,000, and Watson folded. Hand #209: Watson got a walk in the big blind. Hand #210: Watson made it 500,000 to go on the button with the . Gregg called from the big blind with the , and the flop fell . Both checked, and the turn was the . Gregg bet 600,000, and Watson made the call. The river was the , and Gregg fired 1.35 million. Watson gave it up, and Gregg won the pot. Hand #196: Mike Watson folded and Tony Gregg won the hand. Hand #197: Gregg opened and Watson called. The flop was and Watson checked. Gregg bet 500,000 and Watson called. The turn was the and both players checked. The river was the and Watson bet 1,100,000 and Gregg folded. Hand #198: Watson raised to 500,000 with and Gregg called with . The flop was and Gregg checked Watson bet and Gregg folded. Hand #199: Gregg folded and Watson took it down. Hand #200: Watson folded and Gregg took down the pot. Hand #201: Gregg opened and Watson called. Gregg had and Watson, . The flop came and Watson checked to Gregg. Gregg bet and Watson folded. Hand #202: Watson folded and Gregg won the pot. Hand #203: Gregg opened to 500,00 and and Watson called with . The flop was and both players checked. The turn was the and Watson bet 600,000 and Gregg called. The river was the and Watson bet 1,600,000 and Gregg folded. Hand #204: Watson opened with to 500,000 and Gregg. Gregg worked his way back to almost even in chips and has slowly slipped back down. While in Prague, Remko Rinkema sat down with Tony G to talk about his on-air personality, his transition to politics, and more. You can subscribe to the entire PokerNews Podcast Network on iTunes here, or you can access the RSS feed here. The PokerNews family of podcasts is now available on Stitcher. Hand #183: Tony Gregg raised on the button to 500,000 with the , and Mike Watson called with the . The flop fell , and Watson checked. Gregg bet 300,000, and Watson folded. Hand #184: Watson raised to 500,000 with the , and Gregg called with the to see the flop. Gregg checked, and Watson bet 500,000. Gregg folded. Hand #186: Watson raised to 500,000 on the button with the , and Gregg called with the to see the flop come down . Both players checked, and the turn was the . Gregg bet 500,000, and Watson folded. Hand #188: Gregg got a walk in the big blind. Hand #189: Gregg raised to 500,000 with the on the button, and Watson called with the from the big blind. The flop was , and Watson checked. Gregg also checked, and the turn was the . Watson led with a bet of 600,000, and Gregg folded. Hand #190: Watson raised on the button to 500,000 with the and won the pot. Hand #191: Gregg had the button and raised to 500,00 with the to win the pot. Hand #192: Gregg received a walk in the big blind. Hand #193: On the button, Gregg raised to 500,000 with the , and Watson folded from the big blind. Hand #194: On the button, Watson raised to 500,000 with the and won the pot. 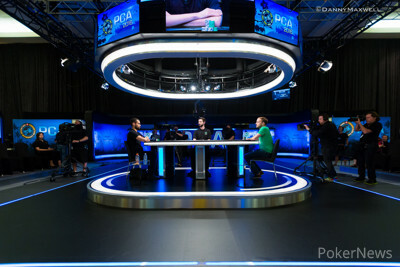 Watson Leads Final Six; Gregg Makes PCA Main Event Final Table for Third Time!